© 2011, Chloe Azimian, Amanda Polla. Frances Browne, The Story of Childe Charity. Illustrated by: Beatrice L Stevens. Boston: Atlatic Monthly, 1924. The Story of Childe Charity was created in 1857 by Frances Browne (Deane et al. 22). 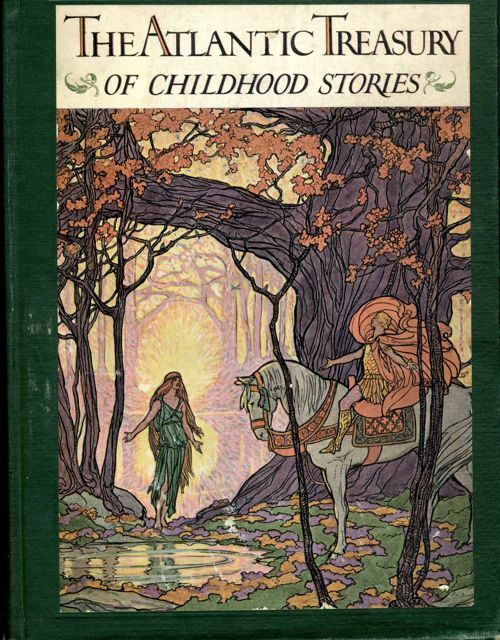 In 1924 it was published with a collection of other fairy tales in The Atlantic Treasury of Childhood Stories.This collection is geared towards children; which is evident in the stories and images chosen to appear within the text. The following will examine the representation of fairies both visually, symbolically and their significance within the text. We will also show how The Story Of Childe Charity greatly represents the symbolic beliefs the Irish people had about the Irish fairies and how its represented in the story. By compiling research from these two areas; we will explore the relevance between Irish beliefs in fairies and the representation of fairies in text. The connection between these topics will highlight many of the underlying messages and themes in fairy tales – it will also explain much of the author’s decisions in terms of content. The Story of Childe Charity is a fairy tale written by Frances Browne in 1857 (Deane et al. 22). It takes place in the Irish countryside where a young girl who has been orphaned goes to live with her uncle and his family. This family is quite cruel; however Childe Charity gains her name through her kindness towards others. One evening, the poorest, ugliest woman anyone had ever seen came begging at Childe’s house. While everyone refused to help, Childe Charity gave her dinner and her bed to the old woman – this continued for many nights until, one night, the old woman brought her a scruffy dog. She asked Childe Charity to care for her dog which she agreed to, not knowing both the dog and old woman were fairies in disguise. After Childe Charity had cared for the dog for a long time, the old woman returned as a fairy princess and the dog turned into a fairy prince. They rewarded Childe Charity for her kindness by taking her to their kingdom for seven days. After this time, they returned her to her real home with an abundance of riches and she grew to be a great lady. The Story of Childe Charity appears to go against the stereotypical belief of fairies as miniature humans with wings. Instead, they are represented almost as humans with the exception of having magical capabilities. They are first described within the text as “little men” and “little ladies” who are clothed in magnificent, rich fabrics. Other than their size, they would appear as regular human beings. By visually representing the fairies in a very similar way to humans, the story becomes more realistic and believable. Also, because this story was published in The Atlantic Treasury of Childhood Stories and targeted towards children, its reality is important because it encourages children to believe a story such as this is indeed possible. Although fairies are a myth, creating a story children believe in all aspects of, helps them understand it’s moral more thoroughly. In The Struggle for Meaning, Bettelheim states that it is not the fact virtue wins at the end which promotes morality, but the identification the child creates with the hero in all their struggles. Because of this identification, the inner and outer struggles of the hero imprint morality on him (Bettelheim, 328). The moral of Childe Charity simply being; good things come to good people. Therefore, the realness of the fairies adds to the realness of the story, thus creating a greater identification with the hero. The visual representation of fairies as miniature people gives the impression that people of this time in Ireland viewed fairies in a very real way. Browne’s realistic interpretation of these characters may be due to the fact she did, in fact, believe fairies existed. In 1800 Ireland, many did believe in fairy realms (O’Conor, 545); this is elaborated on within the context section of the exhibit. In many fairy tales throughout history, fairies have several different meanings; these range from fairies from doing good, trickery, or as warnings. Fairies in the story of Childe Charity are represented as a symbol of justice. Childe Charity was rewarded by the fairies for her good manners and kindness towards the beggar, while her cruel family was given nothing and were therefore unhappy. Using the fairies as a symbol of justice, Browne created the basis for the moral to her story. This symbolism establishes a very plain message which is easily conveyed through the text and can be understood by its young readers or listeners. The purpose of using symbolism, rather than stating the exact meaning of the story, is that it uses unrealistic circumstances to teach real morals. Thus allowing children to visualize themselves in the place of characters within the story. In this way they are more effective in promoting a message than simply explaining a message to a child (Williams and Wilkins 811). Essentially, the fairies teach a simple but vital message in an interesting and entertaining manner. During the mid 1800’s in Ireland, it was a common belief that fairies existed (O’Conor, 545), therefore the fact that fairies were used as a symbol of justice, supports that people believed in this as an event which could potentially take place. Overall, the use of fairies in The Story of Child Charity, are used to support to message that good things come to those who do good. What is interesting about this story however is that this message is conveyed solely through the use of fairies; there is no romance nor is there any suggestion that a male is needed to save a female. Browne created a tale of maturation without the common use of a male rescuer. This puts a large amount of emphasis on the fact one makes their own happiness and does not need a prince to achieve this. It seems Browne’s intention was to go against this classic structure and she does this by substituting the male rescuer for fairies. Through eliminating the romantic element in the story, there is a greater emphasis on the essential moral. Perhaps Browne told her story in this format because she wanted girls in particular to identify with the female hero and not become distracted with a romantic element. This may show that feminine ideals were beginning to change in Ireland. It may also show that Browne was thinking ahead of her time or trying to create stories that stood apart from the rest. The fact Childe Charity uses fairies to teach a tale of maturation rather than a male figure may be the reason it was published in 1924 when women were becoming more independent (Gourley 63). figures and mainly as females. 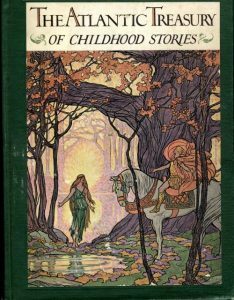 The Story of Childe Charity was written By Irish Author, Frances Browne in 1857 (Mckean 296), an era where Ireland was known to be the ‘land of the fairies’ (Silver 141). 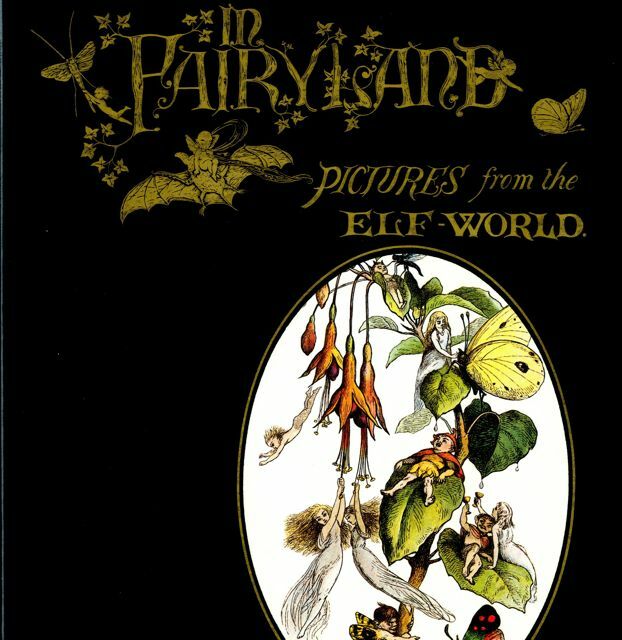 The descriptions and events in the story greatly relate to the history and beliefs that the Irish people had about fairies and fairyland during that era. Ireland is known for their beliefs and values towards fairies, which does not only stem through superstitious tendencies. This is because throughout Galeic literature, which is the inheritance of the Irish race, fairies and fairyland play an important part in its development (O’Conor 545). The Irish have been telling stories of the fairies and the relevance to their country for centuries. Through the centuries, the stories have developed into poems, literature and novels. These were created to describe the features and attributes of the fairies, as well as how they differed from human beings. Stories such as The Story of Childe Charity give interpretations of how authors interpreted these fairies, and the impact the Irish fairies had on their lives.
. The symbolism and representation of the fairies of Ireland is very distinct . The Irish people believed fairies to be ‘God like’ and to have the ‘magic power of the Gods’, with features of fair brightness that were usually associated with divinity (O’Conor 547). Fairies in Irish literature are described as super human and regularly dressed in green, which was the symbol of hope and immortality (O’Conor 548). The values, morals and descriptions of the Irish fairies also resemble fairies featured in modern age. The Walt Disney version of Tinkerbell is a direct example. The Irish Fairy has been described as having features such as ‘yellow hair and blue eyes admired by the ancient Irish’ (O’ Conor 547). The modernized Tinkerbell, from the classic story Peter Pan is a thimble sized blonde, blue- eyed fairy with a green dress (Disney Fairies). Whether intentional or not, Walt Disney created his own modern interpretation of what the Irish fairies were believed to look like. This evidently makes the symbolism of the Irish Fairy a staple figure in pop culture, and in the childhoods of boys and girls throughout the world.
. The Irish belief on the origination of the fairies of ancient Ireland ‘belonged to a race known as Tutha De Dannan, people of God, and they were the size of mortals or even larger’ (O’Conor 546). Legend says they came from the northern isles of the world, where they had been learning ‘lore and magic and druidism and wizardy and cunning until they surpassed the stages of the hearts of heathendom’ (O’Conor 546). It has been stated that the reason these Irish fairies came often was in order to take part in the affairs of mankind (O’Conor 548). Irish fairies possessed the gift of fairy transformation, that of where they could transform into subjects or things that weren’t related to them so they could see the true potential of people (O’Conor 550). The shape-transference of these stories combines both an element of history with pure imagination (O’Conor 550).
. Given the history of Ireland and how important fairies were to the Irish culture, The Story Of Childe Charity was structured pretty accurately to the reality of ancient Ireland. The author, Frances Browne, was born in Stranorlar, Donegal, Ireland, in 1816 (Mclean 296). The story uses the magic of the fairies and fairyland to bring wealth and fortune to a poor little girl that helped the fairy princess and prince in their tattered, mortal disguises. Many irish cultural references happen throughout The Story Of Childe Chairty, especially in relevance to the portrayal of fairies. The first instance would be the fairy princess and the prince disguised as the old beggar and her dog. This is an example of the Irish fairies gift of transformation discussed earlier in the context, that the Irish fairies were known to posses (O’Conor 550). The fairies in the story were also portrayed as helpers, who prepared the feast for the disguised prince in preparation for him to bring the wholesome child to fairyland. They were also described throughout the story as elegant creatures, having mortal like appearances. Although the colour green was not mentioned as apart of the fairies attire in the story, the little men and women from the fairyland who helped the prince in preparation were described as being dressed in ‘crimson and gold, and bearing every man a torch, till the room looked bright as day’ (Browne), while the ladies were ‘clad in rose-colored velvet, and carrying each a crystal lamp’ (Browne). These descriptions are also relative to the Irish fairies in the portrayal in the book Heroic Romances of Ireland. Throughout this book, it states that their interpretation of man of the fairy folk is dressed in ‘Green, long and flowing was the cloak about him, his shirt was embroided with an embroidery of red, and a great brooch of gold in his cloak reached to his shoulder on either side (O’Conor 548). Although there are some differences to the exact representation of the Irish fairy man and woman, the key representations still remain. This is also relevant in the description of the ‘Fairyland’ and all the magic and triumph that it possesses.
. The occupations of the Irish fairies were portrayed as ‘war and chase’ that of chief interest to the people themselves. The fairies were imagined as ‘coming from their own countries to take part in mortal affairs’ (O’Conor 553). They were described as to not only visit Ireland, but to take the mortals back with them to either ‘wage the wars, or enjoy the delights of Fairyland’ (O’Conor 553). The Story of Childe Charity resembles the history of these Irish fairies because the storyline is situated around these practices. In the Story, The disguised prince and princess test Childe Charity, first with the disguised princess frequently coming to her home looking for a place to stay, and then with the prince and the affection Childe Charity gives to him while disguised as a dog. They then take Childe Charity to their Fairyland on a chariot, where she sat astonished, admiring the beautiful sightings around her, and was treated to feasts and jewels because of her kindness and pure heart (Browne). The Story Of Childe Charity was created to teach a lesson. Even with the influence of the immortal realm and the belief in fairies, it states that if you care and respect others no matter what gender or class, you will be rewarded with respect. Photo analysis: The picture of the back of The Atlantic Treasury or Childhood stories. The photo re-iterates what the Irish describe the fairies to physically look like in terms of Blonde hair and blue eyes. The photo also gves the sense that the fairies are in a state of bliss and harmony, which is true to their described nature.
. The research and in depth analysis in both the category and the context has shown that The Story Of Childe Charity stands for a lot more than what it seems. The story is more than just a children’s tale of a kind little girl helping out a beggar in need. It is a representation of history, culture, beliefs and values of the Irish people at the time it was published. The story not only represents the symbolism of the Irish Fairies throughout Ireland in the 1800’s, but was created to teach a lesson of morality and good. Childe Charity is a character both little girls and women can identify with, and the lessons and morals in the story show that one should not discriminate others based on appearance or social class. The story shows an alternate view to the traditional fairy tale ending, establishing not a love interest for Childe Charity, but a newfound friendship with the prince and princess of fairyland. It teaches the lesson that you should not judge a book by its cover, and that good things come to those who do good to others. Ballard, Linda-May. “Fairies and the Supernatural on Reachrai.” The Good People: New Fairylore Essays.Lexington:University ofKentucky, 1997. 47-58. Print. Browne, Frances. “The Story of Childe Charity.” Ed. Mary D. Hutchinson and Beatrice L. Stevens. The Atlantic Treasury of Childhood Stories.Boston: Atlantic Monthly, 1924. 183-88. Print. Buccola, Regina. Fairies, Fractious Women, and the Old Faith: Fairy Lore in Early Modern British Drama and Culture. Selinsgrove: Susquehanna UP, 2006. Print. Deane, Seamus, Andrew Carpenter, and Jonathan Williams. Contents. The Field Day Anthology of Irish Writing: Irish Women’s Writing and Traditions. Ed. Angela Bourke.New York: NYU, 2002. 22. Print. “Disney Fairies | Official Site.” Disney | Official Home Page for All Things Disney. Web. 25 Nov. 2011. Gourley, Catherine. Music Madness. Flappers and the New American Woman: Perceptions of Women from 1918 through the 1920s.Minneapolis,MN: Twenty-First Century, 2007. 62-63. Print. McLean, Thomas. “Arms and the Circassian Woman: FrancesBrowne’s “The Star of Attéghéi”” Victorian Poetry 41.3 (2003): 295-318. Jstor.West Virginia University Press. Web.10 Oct. 2011 <http://www.jstor.org/stable/40002632>. Norreys, Jephson. “The Early Irish Fairies and Fairyland.” The Sewanee Review 28.4: 545- 57. TheJohnsHopkinsUniversity Press. Web.10 Oct. 2011. Silver, Carole. “On the Origin of Fairies: Victorians, Romantics, and Folk Belief.” The Victorian Threshold 14 (1986): 141-56.CambridgeUniversity Press. Web. 10 Oct. 2011. <http://www.jstor.org/stable/25057792>. 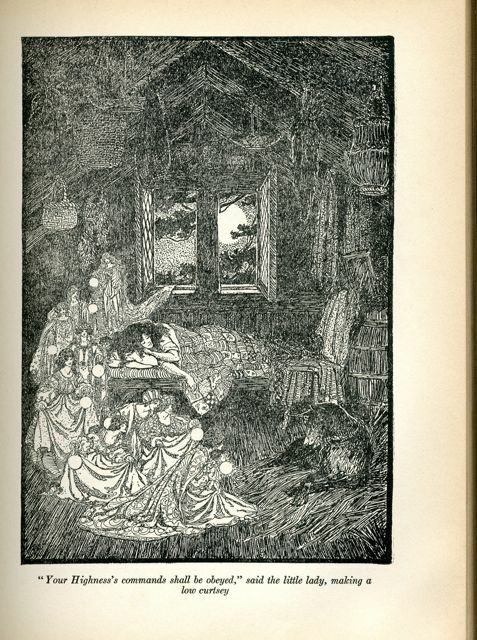 “The Use of Fairy Tales.” The American Journal of Nursing 1.11 (1901): 811-12. Jstor. Lippincott Williams & Wilkins. Web.19 Nov. 2011. <http://www.jstor.org/stable/3402388>.